It is a shameful anount of money, you will agree, for a charity to spend on unnecessary admin/overheads, whatever you choose to call it, and the RSPCA should be made to account for every penny. But then it is common knowlege that they happily waste megabucks on prosecuting hapless owners, despite them saying that in 92% of cases they spend the time and money ADVISING and EDUCATING owners what to do and how to care for their pets so it doesn't happen again. Hogwash. As often as not they turn up in the ownwer's absence to remove a much-loved pet. Money is no object when it comes to prosecuting, they don't even use the CPS. It's the most expensive lawyers they can find. Yes please explain what you mean when you say that the RSPCA spent £40,000 trying to get rid of him. ???????????? What an excellent idea...Facebook, yes; I hadn't thought of that as I've only just very recently got into Facbook, but yes, certainly that is a way forward. I do know that many rescue organisations, whether they have charitable status or not, use Facebook as it's free and it reaches so many people. I was talking to a lady who runs a small rescue in Sth London (mainly cats)and as the are self-funding they use Facebook for their advertising as it is free and means what money they DO have is well-spent on the cats and not wasted as appears to have been the case with the £40,000 trying to get rid of this guy. it must be so frustrating knowing that you are doing your best an coming up against a brick wall. How about starting a Facebook campaign this worked in the case of Hopes cause where RSPCA refused to take action against the land owner who was abusing/neglecting his horses as Hope was found virtually dead and they still claimed that her living conditions were "adequate"
Yes, it's a fact that in a case like this, any publicity is good for your cause. In fact, even the THREAT that you are going to speak to a local paper might well have results. One thing the RSPCA hates is rotten publicity. The reason they spend so much on taking people to court is because the minute there is a press release to say that the RSPCA took so and so to court and they were fined and banned from keeping animals for 15 years, the donations come rolling in from people who genuinely think their money will be well-spent. £40,000 to get rid of someone and end up with them staying in the same position? It is morally not theirs to waste, it was donated by well-meaning animal-lovers.I think also if you know someone who can start it for you is an on-line petition. Email goes round as quick as lightning you'd have thousands of signatures in no time; and yes, Celia Hanmmond is fab - I've never heard of anyone who had a bad word to say about her or her organisation. Please help me fight RSPCA on behalf of abused volunteer! What a sad story, and not in the least surprising. What I cannot quite understand, maybe you can explain, without divulging too much, why the RSPCA had to spend £40,000 trying to get rid of this guy if he is, as you say, a "volunteer". As you and your friends well know, that amount of money would feed a few cats and dogs for a month or two. Even if he is a trustee, surely they don't need to spend like that and then at the end of it not succeed in getting rid of him. 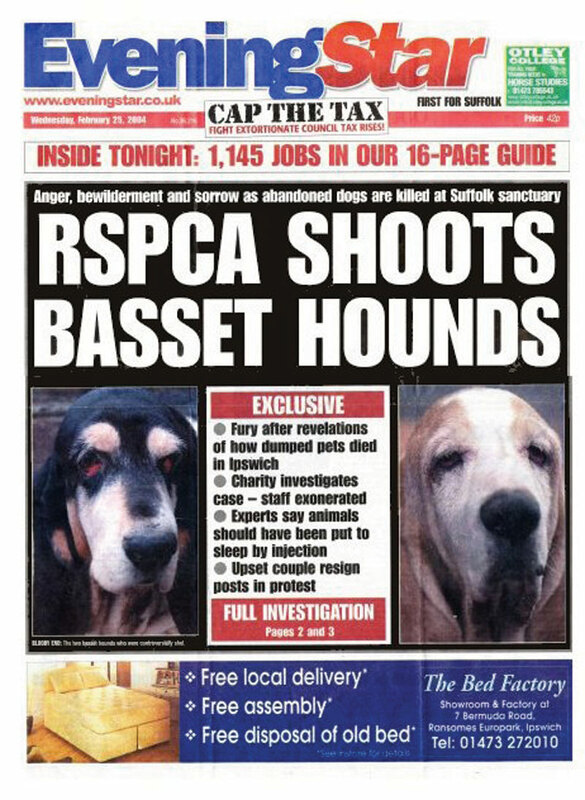 But this is typical of the RSPCA - they spend £7 million each year on private prosecutions. Is that a waste or what? I foster locally for an animal charity and it was decided to get rid of a trustee. There was no fuss or bother, she was just voted off the board. In any case, if he was not wanted, why did he want to stay? What was in it for him? If that was me (I'm just a volunteer fosterer, not a trusee) but if I knew the rest of them didn't want me, I'd be off like a bat out of Hell. Why is he so keen to stay, and why have the vets and fosterers not been paid? What happened to the £20,000 I wonder? It might be interesting to know. I'd be tempted to contact a local paper or get a petition going. It's very unfair, even if they pay their fosterers, they spend their own money on the cats they are looking after. I'm just fostering one at the moment (I have several of my own so no space for more)but all I get paid is vets' fees. I could pick up feed from one of the trustees but choose not to. I will give this some thought. It certainly seems wrong. I volunteered for the RSPCA for 3 years, fostering cats, taking photos for them and helping with the rehoming. The lady in charge did this all for free, and it is her passion. She has 10 cats, loves animals and worked tirelessly house checking etc. She's amazing. When I joined they were struggling because the man in charge of the local branch (who will remain nameless for now) refused to let photos go on their local branch. When I queried this, saying how much people searched for animals online and fell in love with cats photos, he said the RSPCA were too busy saving animals to worry about that. After a few battles where he refused to give the name of the volunteer who updated the local branch website I gave up and registered with CatChat and after about 6 months managed to get a link to CatChat put on the branch website, not ideal but the best we could do. Last Christmas 2010 we hand reaer 4 x 1 week old kittens for 2 weeks because they were dumped in a bin in London and the Putney branch felt they didn't have the staff to hand rear them, but luckily this rehoming lady heard about it as she was there about another cat and managed to persuade them to let us do it. They were going to be put down. After 2 weeks when I had to go back to work Celia Hammond took them from us and raised them. Amazing. I took photos regularly and the rehoming went from 50 cats a year to 120 a year, something he happily took the credit for at the local board meeting without mentioning the lady in charge of rehoming. The lady in charge, along with several other people, stepped down from being a trustee alongside the head of the local branch due to his bullying, rude behaviour. We kept our heads down, tried to not deal with him and managed to keep it going well. There were often problems with payment for our fosterers or the vets, it was an ongoing fight for this poor lady but she did it because she cares. Sadly many cats were put down before I heard about it. I managed to smuggle out many cats to the ever wonderful Celia Hammond who were never in the least surprised by the RSPCA putting down cats that could be saved. Even getting blood tests paid for were difficult, an operation would always be out of the question and the cat put to sleep. It was heartbreaking to see but I felt that the 120 cats a year were better than nothing and couldn't bear the thought of what would happen to them if not. However, I got more busy with a day job and photography taking off and had to take a back seat but this lady kept on tirelessly, keeping me updated. One day she called me so upset. The man at the branch had refused to pay her fosterers and the local vets who had helped us for 5 year. He owed £20,000 to them but was refusing. He said he hadn't seen any invoices before, he wouldn't pay because he hadn't seen them before, which is rubbish as this vets is a professional business and always sent them directly. She is heavily pregnant and struggling now. He was deeply unpleasant to her on the phone, called her all sorts of names and hung up on her, only to call her back to abuse her again. In 2001 the RSPCA spent £40,000 trying to evict him from the charity. He managed to stay in by just 1 vote. He has now banned the rehoming lady from rehoming, changed all numbers and access to CatChat. Since Christmas he has called the police over to her house saying that she was abusive and made trouble in the RSPCA local branch (something which if you met this woman you'd think was hilarious, she may have tried to interupt him loudly as he talks over everyone rudely and abusively but she would never have been abusive herself or warranted a police visit). She is now banned from any RSPCA shop, or to go near any of the vets. The problem is that she is a volunteer, and he is a volunteer, and therefore not covered by standard employment law. We are at a loss as to what to do, no idea what is happening with the rehoming of the poor cats left in the branch (the vets holding them have refused to put them down) and it has cut off for about 2 months now any rehoming.